Helen Phipps was one of the first two women ever to be elected to the Dover City Council. 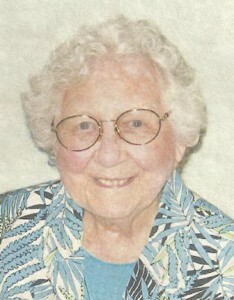 In 1970, Helen became the Director of Dover Adult Basic Education and went on to found the Dover Adult Learning Center. Helen passed away at the age of 83 on August 6, 2010. In honor of Helen’s dedication and commitment to adult education, the Dover Adult Learning Center Board of Directors established the Helen Phipps Heritage Society to allow supporters to make a leadership gift to continue her legacy. Gifts will be used for future capital improvements such as classroom equipment, educational software, tools and technology. Making a contribution is easy. DALC has volunteer advisors that can work with you or your agents. Build on our successful history of investing and responsible stewardship of funds as evidenced through the “Come Help Us Grow” campaign. Contact Executive Director Deanna Strand at 603-742-1030. This summer we said good-bye to the founder, driving force and inspiration of the Dover Adult Learning Center, Helen Phipps, who died at the age of 82. Debbie Tasker, Helen’s successor and now GED administrator for the State of New Hampshire offered these memories. It’s the 1970’s. Picture a petite dynamo with light brown hair. She seems to be everywhere in Dover, leaping out of her VW “bug” to attend a church meeting, serving on the City Council, beaming at her children’s concerts, hiring teachers for the new Adult Basic Education program, arranging with volunteers to host a pot luck dinner to honor 150 adult education students and their families, encouraging a student who doubts he can ever learn to read, speaking to service clubs to raise awareness of adult literacy, baking and decorating gingerbread Christmas cookies for the children of all her friends, raising scholarship funds to enable needy high school students to go on to college. Or, perhaps, picture the year that Helen became the first woman chair of the Dover School Board or the year she led the Joint Building Committee to successfully complete the current Dover High School. Or the year she decided that adult education needed to be backed by a permanent non-profit organization. Or the year her family established their farm and she baked lasagna with her own home-made cottage cheese. Or the year she performed the miracle of convincing city officials to purchase an old church building as a home for the Adult Learning Center. Maybe it’s a later year when Helen is overcoming one of the many health challenges that would daunt a lesser person. Now she’s walking more slowly, leaning on a cane, but she’s still as enthusiastic and dynamic as ever—fierce in her determination that education should be available to all, generous in her praise and support for employees, positive in her encouragement for students. Helen Phipps, the petite dynamo, was truly a giant among us, and we are fortunate that DALC was created by her persistence and graced by her indomitable spirit.